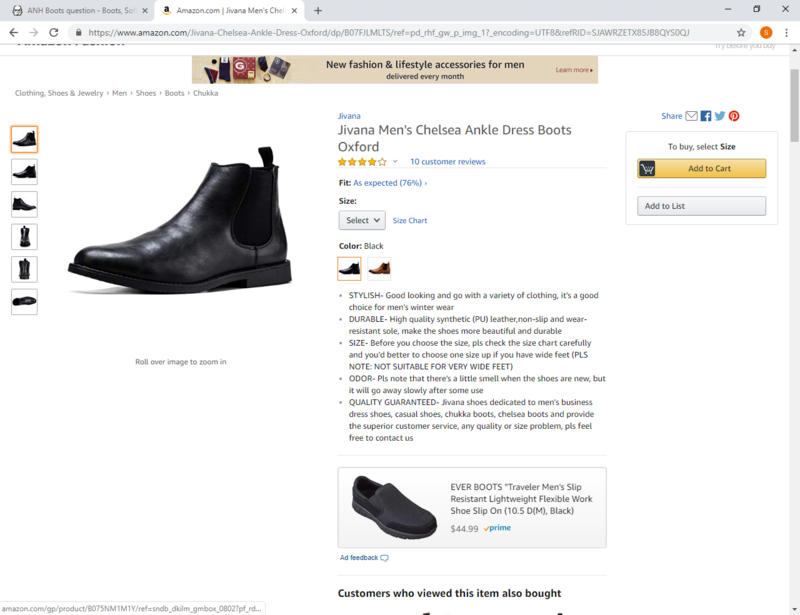 I'm wanting to get a pair of Chelsea boots off of Amazon, then paint them white with leather paint like the originals. I'm a bit of a DIY guy Should I just get the pair that looks the most like the one pictured in the CRL? Yes be sure there are no seams other than the ones on the side under the elastic. Do you have to replace the brown elastic with white? or do you paint it too? I looked at some pictures of the originals. I looks like paint on the elastic. Should I paint it with the same paint that I use on the rest of the boot? Yeah same paint all around. Be sure to mask off the soles though as they should be black. Thanks! I'll make sure to mask them off. Here is a pic of a screen used (painted Chelsea) boot that may help, Caleb. It's a little beat-up, but you get the idea. Use industrial acetone wipe on your leather part before painting white. Excellent suggestion, Wibowo. Otherwise you would have problems with adhesion. Those may work for basic approval, Caleb, but the elastic opening on the side should have a U-shape, and those look to have a tear-drop shape. Your GML will be the one to make that call, but the U shape (as seen in the photo I posted earlier) would be required for higher levels. They correct ones are out there, it may just take some more searching. I would also look for ones that are a bit taller. The reason being is so that the tops won't slip out from underneath your calf armor bottoms quite so easily. Yeah, I noticed the odd elastic shape. I wasn't sure if it would be a problem for EIB and Centurion or not. I just thought I'd ask. They were cheaper than most of the boots on Amazon. Any within my price range either had brown soles, stitching on the front, or non-flat soles. I found the link to these boots in another thread! I think they might be perfect! They are fine all the way to L3 Centurion. You can always purchased finished boots, Imperial Boots make a nice pair. Really depends on the look and how often you will troop, paint/dye will rub off over time. I'll have to think about it. The boots are cheaper than the one's from IB. But they might be more expensive if you factor in the price for the paint or dye. IB might be the best option.